Make sure you add a checkbox explicitly asking the user for the form if they consent to you storing and using their personal information to get back in touch with them. The box must be unchecked by default. Also, mention if you will send or share the data with any 3rd-parties and which. Make sure you add a checkbox explicitly asking the user of the comment section if they consent to store their message attached to the e-mail address they’ve used to comment. The box must be unchecked by default. Also, mention if you will send or share the data with any 3rd-parties and which. Do you provide a forum or message board environment? Make sure you add a checkbox explicitly asking forum/board users if they consent to you storing and using their personal information and messages. The box must be unchecked by default. Also, mention if you will send or share the data with any 3rd-parties and which. Can visitors chat with your company directly? Make sure you add a checkbox explicitly asking chat users if they consent to you storing and using their personal information and messages. The box must be unchecked by default. We recommend also mentioning for how long you will save chat messages or deleting them all within 24 hours. Also, mention if you will send or share the data with any 3rd-parties and which. 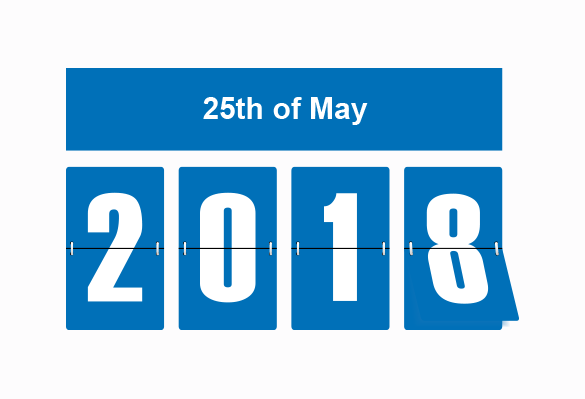 On 25th May 2018, the GDPR (General Data Protection Regulation) enacted by the EU will come into effect. What are the steps that you must take to ensure that you follow the guidelines? What if you neglect this? This article will help you in your endeavour to be ready when the regulation kicks in. First, we’re going to talk in detail about the GDPR guidelines, the specific areas of your business that the guidelines affect, and why you should be concerned about your website and GDPR compliance. Next, we will cover the basics of making a website site compliant with the guidelines. Finally, we will discuss the implications of the use of tools on your website and how your GDPR compliance might be affected. Disclaimer. This post is not legal advice. I am not lawyer. GDPR stands for General Data Protection Regulation, and it is a new data protection law in the EU, which comes into force in May 2018. The GDPR aims to give citizens of the EU control over their data and change the approach of organisations across the world towards data privacy. The GDPR law applies to data collected about EU citizens from anywhere in the world. As a consequence, a website with any EU visitors or customers must comply with the GDPR, which means that virtually all sites and businesses must meet. Organisation of websites has time until May 2018 to comply with the regulations set by the GDPR. The penalty for non-compliance can be 4% of annual global turnover, up to a maximum of €20 million. There are various slabs of penalties according to the seriousness of the breach, which has been described in the FAQ section of the GDPR portal. It is too early to speculate how SAs of various member states would interlink and work together, but one aspect is evident; SAs would enjoy the considerable power to enforce the GDPR guidelines. Six months after the guidelines were released, PwC surveyed 200 CXOs of large US firms to assess the impact of the GDPR guidelines. The results revealed that a majority of the businesses had taken up the GDPR guidelines as their top data protection priority, with 76% of them prepared to spend more than $1 million on GDPR. This shows that owing to a substantial presence in the EU, and large corporations are taking up the GDPR compliance seriously. So with all the official information out of the way, let’s take a moment to talk about how to make sure that your website is compliant and that you won’t experience any Website GDPR problems. Before you move on to each of the aspects and how to comply with them, a security audit on your website site should, in general, reveal how data is being processed and stored on your servers, and steps that are required to comply with the GDPR. Under the GDPR compliance, if your website is experiencing a data breach of any kind, that violation needs to be communicated to your users. A data breach may result in a risk for the rights and freedoms of individuals, due to which notifying users promptly becomes necessary. Under the GDPR, a notification must be sent within 72 hours of first becoming aware of a breach. Data processors are also required to notify users as well as the data controllers, immediately after early becoming aware of a data breach. In a website scenario, if you notice a data breach, you would need to notify all those affected by the breach within this designated time frame. However, the complexity here is the definition of the term “user” – it may constitute regular website users, contact form entries, and potentially even commenters. This clause of the GDPR thus creates a legal requirement to assess and monitor the security of your website. The ideal way is to watch web traffic and web server logs. The right to access provides users with complete transparency in data processing and storage – what data points are being collected, where are these data points being processed and stored, and the reason behind the collection, processing and storage of the data. Users will also have to be provided with a copy of their data free of cost within 40 days. The right to be forgotten gives users an option to erase personal data, and stop further collection and processing of the data. This process involves the user withdrawing consent for their own data to be used. The data portability clause of the GDPR provides users with a right to download their data, for which they have previously given consent, and further transmit that data to a different controller. Privacy by design encourages controllers to enforce data policies which enable the processing and storage of only that data which is necessary. This helps site owners and controllers to adopt potentially safer procedures for data, by limiting the access to some data points. As a website site owner, you first need to publish a detailed policy on which personal data points you’re using, how they are being processed and stored. Next, you need to have a setup to provide users with a copy of their data. This is perhaps the most challenging part of the process. However, we can assume that when the time comes, most plugin developers or tool developers – for the tools and plugins that you have on your site – will have already come forward with their solutions to this. Further, it may be wise to avoid data storage altogether in some instances. For instance, contact forms could be set up to directly forward all communication to your email address instead of storing them anywhere on the web server. Any plugin or tool that you use will also need to comply with the GDPR rules. As a site owner, it is still your responsibility, though, to make sure that every plugin can export/provide/erase user data it collects in compliance with the GDPR rules. This can still mean some tough times for some of the most popular plugins out there. For instance, solutions like Gravity Forms have a lot of modules that collect user data by nature. How are those tools going to comply with the GDPR accurately? For plugins too, the same rules apply, although they must be approached from the website owner. Each plugin needs to establish a data flow and inform about the processing of personal data. If you are the developer of a plugin, consider providing users of your plugin an addendum that they may add to their website’s terms to make them GDPR compliant. Gravity Forms, for instance, needs to let the user know how personal data being filled in a contact form is going to be published, and an option to get it removed, if necessary. Also, some tools that sit seemingly outside of your website will see the impact of this too. Take, email marketing tools, for example. It’s a common practice to have those integrated with your site and to send promotional emails based on a list of email addresses. Depending on how you run your newsletters/lists, those addresses might not have been obtained by getting explicit consent from users. Although the final responsibility lies with the site owner, webmasters themselves may have to look into its processes to become compliant as well. 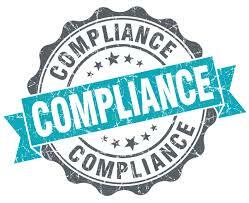 there are defined processes to monitor compliance, and huge fines are in place for non-compliance. even if you’re using third-party tools and solutions, you still need to make sure that those are GDPR compliant as well. If you don’t have all of the above-taken care of by May 2018, trouble. Nonetheless, the GDPR regulation is the right step in ensuring transparency in the handling of data. Although this post has covered the basics of GDPR, you may want to go through the regulation in detail if you have a profitable business running on your website. Remember, not complying can be fined up to €20 million or 4% of your global revenue. Entity Framework Migrations are handled from the package manager console in Visual Studio. The usage is shown in various tutorials, but I haven’t found a complete list of the commands available and their usage, so I created my own. There are four available main commands. Enable-Migrations: Enables Code First Migrations in a project. Add-Migration: Scaffolds a migration script for any pending model changes. Update-Database: Applies any pending migrations to the database. Get-Migrations: Displays the migrations that have been applied to the target database. There are also three extra commands that are used by NuGet packages that install Entity Framework providers. These commands are not usually used as part of normal application development. Add-EFProvider: Adds or updates an Entity Framework provider entry in the project config file. Add-EFDefaultConnectionFactory: Adds or updates an Entity Framework default connection factory in the project config file. Initialize-EFConfiguration: Initializes the Entity Framework section in the project config file and sets defaults. Data privacy and data security have become one of the most prominent topics in organizations in almost every industry across the globe. New regulations are emerging that formalize requirements around these topics, and compel organizations to comply. The upcoming EU Global Data Protection Regulation (GDPR) is one of the most noteworthy of these new regulations. The GDPR takes effect on 25th May 2018 and sets a new global bar for privacy rights, security, and compliance. It mandates many requirements and obligations on organizations across the globe. Complying with this regulation will necessitate significant investments in data handling and data protection for a very large number of organizations. For more information on the GDPR, please visit the EU GDPR page. For an in-depth guide on how Microsoft can help customers being their journey to GDPR compliance, see Beginning your General Data Protection Regulation (GDPR) Journey. To learn more about Microsoft’s commitment to privacy and GDPR principles, visit the Trust Center GDPR site atwww.microsoft.com/GDPR.